In Past Tense is our latest series of articles in which GSMArena veterans take you on a nostalgia-infused ride through the years. 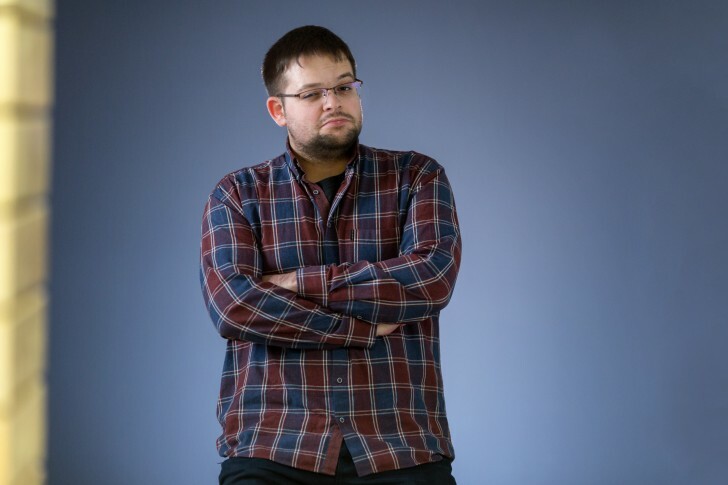 Hi, my name is Victor, 27 years old and a reviewer/editor/developer at GSMArena for over three years now. As a 90s kid, I've had the pleasure to witness more than a few tech revolutions. And while the PC era was quite a bit before my time, I was around and already well into electronics as the mobile era unfolded. Let me tell you how I fit into all that. I'll start my story all the way back in 1999-2000. This was around the time mobile phones started spreading in my home East European country, mainly as a luxury item for businesspeople at the time. I was fortunate enough to get hand-me-downs from my dad, the first of which was a NEC DB2000, imported from god knows how far away. To be frank, I never actually talked on the phone, since a carrier contract was way too expensive to get, especially for a 10-year-old. That's the reason why I didn't include the NEC in my favourite phone list on the site, which I have always used as a roster of my past devices. Even so, I enjoyed flipping through the text-only menus and options on the 4 x 12 chars display for hours on end. Oh and that telescopic antenna - a real necessity for signal-hunting back in the day, but also the very definition of retro coolness in my book. The first device I actually used to make and receive calls was the Siemens C25. The way it handled its menu structure reminded me of a Tamagotchi - another cherished part of my childhood. The display was still text-only, but there were a few static icons painted on along the top and bottom parts of the screen - clearly a revelation in terms of immersiveness back then! The Siemens C25 also had a ringtone composer function. It was literally the most entertaining thing ever. Hunting down "notes" to feed into the monophonic interface usually involved digging through magazines, talking to friends and exchanging finds or hours on the dial-up internet - an activity beloved by my phone company and not so much by my parents. Mind you, once I did manage to get my hands on a "melody", it had to be written down and kept close at hand for exchanging purposes, since the Siemens C25 could only remember one custom ringtone at a time. Still, it was amazing rewarding to playback each custom tone I had punched in. Next came the Nokia 3210 - a monumental device that changed my perception of what phones could be forever and kick-started a very lengthy love affair with the legendary Finnish brand and its exquisite devices. 5 lines of monochrome graphics!!! That timeless Nokia welcoming logo blew my mind in a way perhaps only comparable to the first time I saw the IMAX logo fly at me in a theatre many years later. My handset was no more than a live-line to my parents, it was a gaming device. I loved the original Snake that I saved up and bought myself a joystick attachment. Talk about game-changers! Thinking back on my time with the rudimentary stick is a real eye-opener as to its significance to my tech preferences in the long run. It is probably a big reason for my ongoing love for tactile controls. Something I find myself increasingly missing in 2018. Then there is the matter of user serviceability. I'm sure many can relate. Even though Nokia phones of old were a sealed-in bunch of boards, with only a few bits, like the speaker and microphone sticking out, they were incredibly user-accessible. I do feel like I've moved past the need, as well as appropriate age for enjoying colourful snap-on shells, but I will probably never get over removable batteries. They are just so much more convenient and versatile. Not to mention ecological benefits they bring about. But I digress. Plus, there is really no sense in whining about missing features, in an industry that has clearly been prioritizing looks over functionality for some time now, with no real signs of change on the horizon. So, on to the next major mobile trend I am really happy I got to experience - the minification. For a time, it really was all about making phones smaller and smaller, which did make some sense in the pre-touchscreen era. Case and point, my Nokia 8210. Back then I typically found myself outside, usually chasing a ball of some sorts or riding on a bike or skateboard- all activities benefiting from a light carry-on load. All things considered, going from the 3210 to the 8210 was like stripping down excess plastic and weight without sacrificing any features. In fact, the 8210 had even more. Some less obvious than others, like the IR port. I really used it to its full potential. Not only did I play the surprisingly entertaining Snake multiplayer mode, crammed up in front of a buddy of mine, but I also got an IR dongle for my PC. This opened up a whole new realm of possibilities - backing up and editing contacts and messages and perhaps best of all - customizable wallpapers. Yes, there were quite extensive PC pixel-level designers as well as vast libraries of monochrome images to customize the home screen of your Nokia. The real challenge was fitting anything more than an abstract shape or a few letters on it. Still, it was more than enough customizability to impress my friends back then. 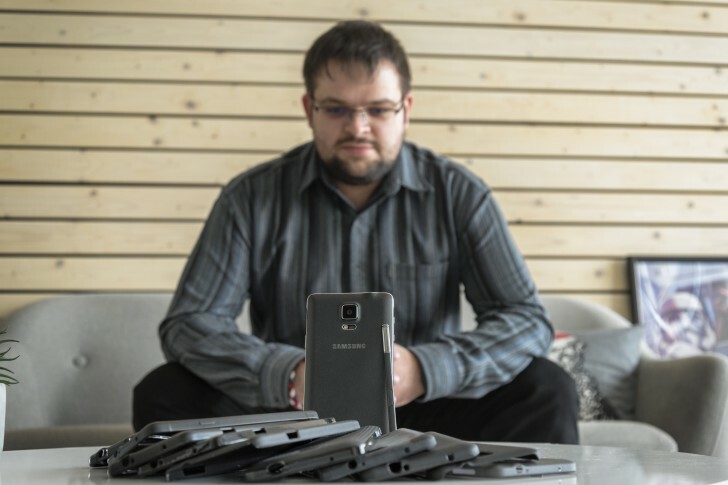 After using my trusty Nokia 8210 for quite some time and amassing a surprising amount of cases for it, I found myself in a little bit of a conundrum. I had saved up to finally buy a phone of my own. No more hand-me-downs. So, naturally, I was looking around. Since import was not really an option, I explored the local market, which only had a few popular devices floating around at the time. The Sony CMD J70 had caught my eye, with its impressive 3D floating-style menu animations and awesome scroll wheel. I was also considering the Siemens C45, one of my friends had. But the thing that ended up trumping them all was the Siemens C55. One day, as I was browsing my local GSM shop, looking for a new device, the C55 the cashier had rang. Only it didn't ring with a monophonic or the popular polyphonic tones of the day. It was a sampled bit of some summer hit song, recorded in glorious AMR (correct me if I'm wrong on the format). From the very day I got the C55, I spent at least a day every week either trying to record a new ringtone or properly convert one over from an MP3 file. Then naturally taking the phone out, after carefully instructing my parents to call me at least a few times. And that wasn't the only trick up the little Siemens' sleeve. The pre-loaded Prince of Persia game was surprisingly enjoyable, despite the technical limitations. Plus, there was this thing called EMS (Enhanced Messaging Service). It was kind of like an extension on top of SMS, which allowed attaching crude image and audio files. The best part, however, is that it could be saved like a regular message to the SIM card storage. This, in turn, meant that to exchange content with a buddy, using a compatible Siemens, Motorola, Ericsson or Alcatel was as simple as creating a message, saving it, swapping SIM cards and transferring it over to the other device. Thi essentially made the absence of an IR port a lot less of a tragedy. So, what could possibly be better than sampled audio ringtones and tradable wallpapers? Well, 4096 colors, of course. I got my first taste of that on the Nokia 6100. 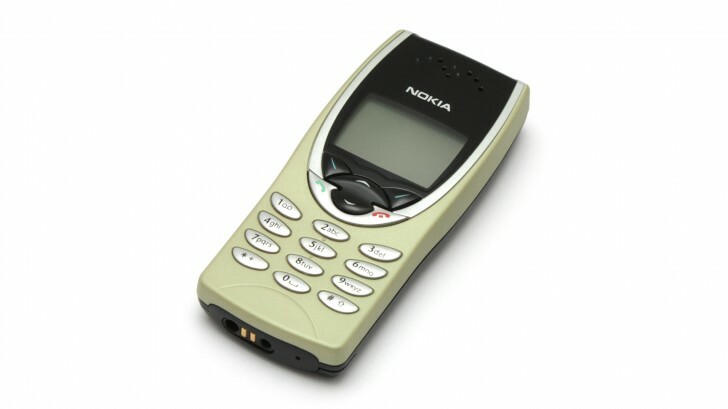 I remember back then, the one thing I really, truly wanted was a collaboration between Nokia and Siemens. Mainly, so I can get back the audio samples on my shining new and very compact Nokia. On the plus side, though, the IR port was back on the table and now more useful than ever, since the Nokia 6100 supported downloadable Java games. To this day I am simply blown away by the depth and scope of gameplay developers managed to cram into sub-100Kb JAR files. Original Bounce anyone? Before I move on to the next major step in my personal handset evolution - mobile photography, I can't fail to mention the Nokia PT-3 camera. It is an odd little device that came into my life right on the brink of owning a full-fledged cameraphone and somewhat filled the void. If you've never encountered such a gadget, it is a very basic digital camera, complete with a direct interface to plug into the Nokia port. I used it alongside me Nokia 6100 and I say "used" in a very loose sense here, since it was never anything more than playing around. The end results were practically unusable, since the PT-3 has no actual viewfinder and you can never quite know what you are capturing. Unlike competing offers from the likes of Siemens that did allow you to get a preview of the shot on-screen. The PT-3 operates as a standalone camera that, when plugged in, simply dumps pictures on to the Nokia phone. Still, even if it did have a viewfinder, 640x480 VGA resolution, out of a very basic sensor is all you got. At least the flash is a proper one, rather than an LED. To be perfectly frank, though, my first camera phone - the Sony Ericsson T630 didn't really produce much better results either. Viewing them on its 1.78-inch, 128 x 160-pixel display was not the best experience, but you really don't want to download them on a higher resolution device, let alone print them. Of course, the T630 didn't record video. Not only was it too slow to do the heavy lifting, but with 2MB of internal storage, video really was a no-go. Still, despite all that, the T630 really shined in the software department. I remember it as a true gaming powerhouse, mainly because at the time Sony Ericsson had something I believe was called Mophun games on offer. These were Java games that through some proprietary technology were able to go way beyond the 100Kb, or so, J2ME file size limit and thus have vastly superior graphics. I remember titles like C-Rally2, FIFA2003, Tony Hawk Pro Skater and Minigolf, which even had multiplayer via the relatively new Bluetooth technology. The T630 did exhibit some joystick issues after some time, but the stick was still the most enjoyable way to play all these games. In 65K colors, no less. The next phone I got my hands on is what I would probably consider to be my first flagship device. 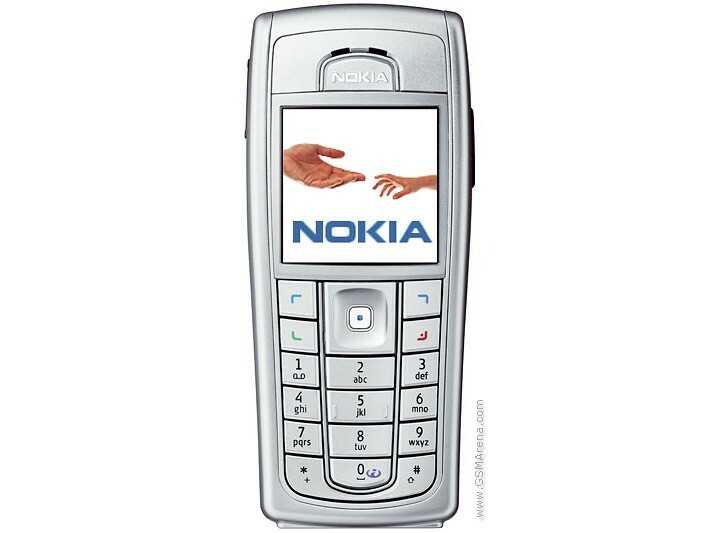 The Nokia 6230 really was the most versatile device I had owned thus far. It did it all - 65K colors on a 1.5-inch display - pretty sizeable by my standards back then. There was also MP3 support. Sure, I had to buy a Nokia headset, with the proprietary connector and a 512MB MMC card for storage, but I finally had the versatility to do so and ditch my MP3 player. Frankly, I loved the 6230 so much and held on to it for so long that I eventually simply traded up for a 6230i. Around the same time I was offered a Nokia 6233. It had a bigger panel, better camera, and stereo, but back then I found it a bit too chunky for my taste. Plus, I had to buy a new microSD card to replace my MMC one, and the price difference was a bit too rich for my blood, even with the allure of stereo speakers - especially tempting to a teenager. In hindsight I might have made the wrong decision, but I won't lie that I really appreciated using what was essentially my familiar device, only improved in mostly every way. A higher resolution panel and camera, as well as a separate central navigation key - a major nuisance with the older style joypad. That's something I really miss these days - improving the internals while reusing popular, successful designs. 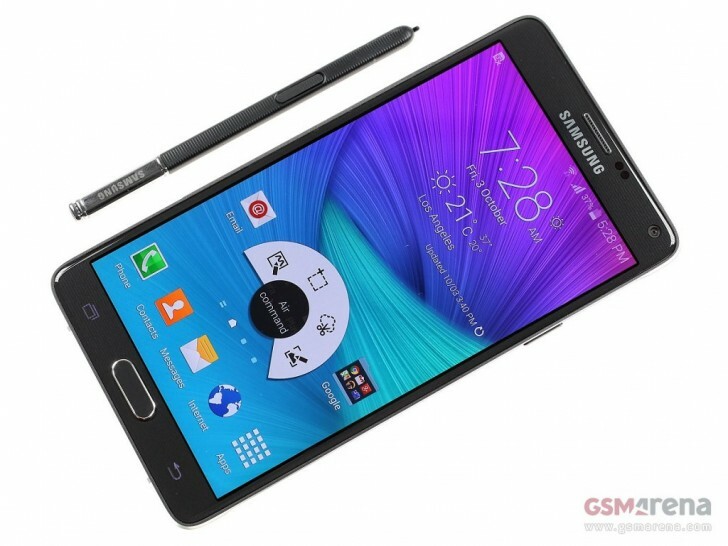 I would have killed to get a Samsung Galaxy Note 3 with refreshed internals a couple of years back. But, more on that later. The Nokia N73 marks my official entrance into the smartphone realm and what a glorious one it was! I got myself a black one after winning just enough money in a TV game show, of all things. Sadly I lost the phone about a year later, so, easy come, easy go, I guess. But in the meantime, I really delved deep into the glorious world of Symbian. To this day I am open to debate anyone who claims the OS of yore was intrinsically bad for some reason or another. On the contrary, it was really versatile and sparked a developer boom, pretty unprecedented at the time, perhaps only comparable to the likes of Windows CE and the pocket PC era. 64MB of RAM might sound laughable today, but I had my trusty N73 running emulators left and right. Even DosBox and the likes of Quake were no issue for it. Sure, you had to be really tidy about your RAM usage, but that only made me acutely aware of certain limitations and what I can do to work around and despite them. Mind you, this was well before my developer days. Speaking of which, digging through IPMart forums, registering for Chinese tools for certificate issuing and signing applications definitely nudged my interest along on the tech path. Not to mention, it earned me a few extra bucks, offering services to friends and acquaintances. As for the N73 itself, it was excellent hardware, minus a few slight annoyances, like the joystick, which became less than fluent after a few months of use and the plastic slider on the camera, which, unfortunately, scratched away the shielding surface between the camera and flash. Since I really did have all the faith in the world in Symbian and its success under the trustworthy Nokia wing, I mustered up the money for another N-series flagship device. This time it was the Nokia N97 (the regular one, not the later mini). The one taunted as the iPhone killer. Nokia's and my early steps into the touchscreen realm. 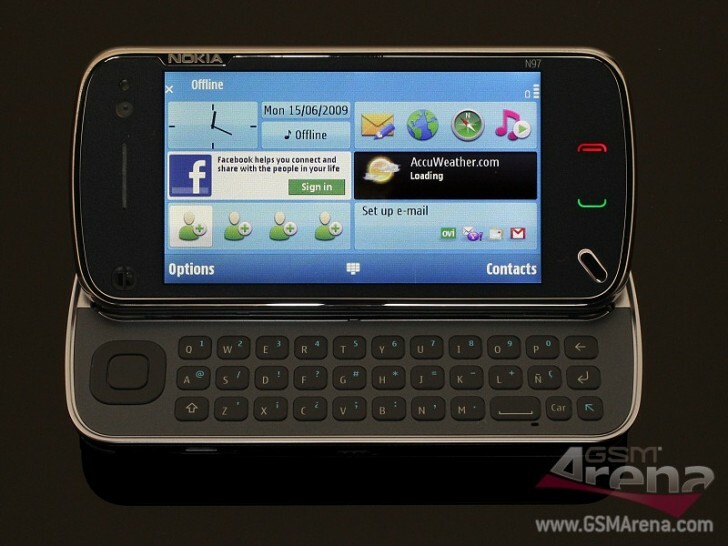 To this day, the Nokia N97 is probably the most polarizing device I have ever owned. It had major issue with antenna positioning as well as signal issues, the display and OS were unresponsive due to hardware limitations and a bit too ambitious of an approach on Nokia's part. The camera was still as scratch-prone and so did the front plastic screen cover. However, it did all the N73 was capable of software-wise and more, faster and better. Plus, that glorious QWERTY keyboard still haunts my dreams. There is nothing I would love more than to get the same tactile, even if unimpressive, feedback on a modern Android flagship. It was great for productivity and very versatile for gaming. Counting back the years, the Nokia N97 had the longest service life out of all my phones. It only made sense, since I spent all of my high-school graduation money on it and then went on to battle the poor college life. The first time I really felt like I was missing out on new mobile tech was when a friend of mine let my play a PSX emulator on his shiny new Samsung Galaxy Note N700 (the original one). The large display, stylus and versatile Android OS just had me hooked. Still, there was the small matter of money and by the time I actually managed to save up enough for a new phone, the Samsung Galaxy Note II N7100 was already out. Ironically, I acquired most of the money doing jailbreaks and unlocks on imported iPhones, which were still a hard commodity to come by in my country. Cupertino's hardware didn't really manage to trump my Android fever. As for the Note II, It seemed like a significant enough bump in hardware over the original to invest in, so I did just that. 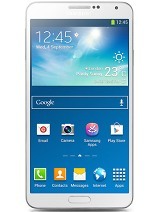 To be perfectly frank, the Note II was unexceptional in most every way. 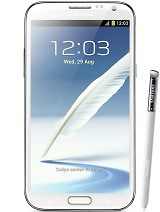 No wonder it is regarded as one of the worst in the Galaxy Note line. Even so, it was miles better than anything I had used thus far. Flawed or not, it sparked a long-lasting love affair with Android and Samsung's take on ultimate productivity in the Note line, in particular. Naturally, next came the Samsung Galaxy Note 3 - a device I still consider to be my personal definition of smartphone perfection. 5.7 inches on a 16:9 aspect ratio is a perfect fit for my admittedly large hands. Especially on a phone complete with reasonably spaced out and positioned home button and capacitive navigation controls, in the right order (personal opinion, of course). There is plenty of hardware to go around, no only performance-wise, but also in the sensor department. The Note 3 is stacked (accelerometer, gyro, proximity, compass, barometer, temperature, humidity, gesture). Plus, there were the little things I didn't really come to appreciate until I saw them missing, like the weird fact that the back and menu buttons utilize very wide contact areas, or the RGB notification light offers proper notification color-coding out of the box. I am only mentioning these examples, since neither was part of the Samsung Galaxy Note 4 package. Thankfully, the removable battery was still intact, which ultimately pushed me to let go of my beloved Note 3 and go up a generation. This was right around the time I started working at GSMArena. A few months in, to be exact. The excitement of getting to experience the latest and greatest in mobile tech was hitting hard. In the long run, I definitely don't regret the decision. That being said, however, it was the first time ever I actually felt I was losing on some features when getting a new phone. The thermometer was gone. Sure, it was flawed to begin with and had the tendency to get stuck and drain my battery in a couple of hours, but I still appreciated it on occasion. Then there were smaller things, like the fact that the RGB light was no-longer color-coded to match app notification colors out of the box and the capacitive area for the navigation keys shrunk down quite a bit, to the point where I had to retrain my muscle memory. 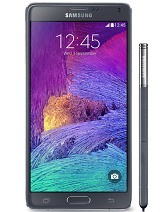 Still, I was absolutely content with my workhorse of a Note 4. Whether I was using it to do urgent article edits on the go, sign NDA agreements while boarding the plane to a press event (yes, that happened) or swapping out my third spare battery in the heat of battle on a showfloor. Plus, the Samsung Galaxy Note 5 came and with it the removable battery went away. I was happy with my decision. Then the whole Galaxy Note7 fiasco happened and I was still happy to be holding on to my Note4. In fact, it is still sitting on my desk, as I am writing this, sadly dead. After years of faithful service, it finally managed to commit suicide through overheating - a well-known issue in the community, which leads to a faulty chip connection. 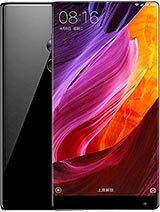 For a while, I simply held on to various review units around the office for a bit longer than usual, until I finally landed on the original Xiaomi Mi Mix. Extremely well-crafted device, with an incredible ceramic unibody - both stylish and very sturdy. The display finish on the massive 6.44-inch panel, unfortunately, not so much. Nothing a good glass screen protector can't fix, though. Sure, I lost on the glorious colors and infinite blacks of OLED, but that edge-to-edge display is a stunning visual experience. I've used my fair share of Huawei Mate devices as well, but in my mind, the Mi Mix is the closest possible match I have found for Galaxy Note levels of productivity and versatility outside of Samsung's lineup. 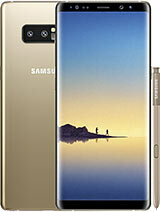 It's a phone I really regret giving back, especially since I ended up buying the Samsung Galaxy Note8 and spending an obscene amount of money for a phone, by my own standards, in the process. The best way I can summarize my Note8 experience is that it's OK. The battery is not great by any stretch of the imagination but is still fine. The versatility is there and I still love the S-Pen, but the ergonomics are really off. The entire thing is top-heavy and a massive thumb-stretcher, due to its small bottom notch and tall body. So another OK for design. The display is stunning to look at, but not the most convenient - things get distorted around the curves. Fitting content can often be a chore on a 18.5:9 aspect ratio. Sourcing a glass screen protector was a costly and flawed endeavour. Another solid OK right there. I could go on, but then I would just be rehashing what I contributed to the Galaxy Note8 long-term review, which I urge you to check out instead. So, that about wraps it up. Sorry for the long story and a proverbial potato for all of you that made it to the end. Be sure to tell me what you think and whether you agree with me or not in the comments, which I will be keeping a close eye on. Also, tell me if you want a bonus round detailing my smartwatch and wearable experience at some point in the future. ''To this day I am simply blown away by the depth and scope of gameplay developers managed to cram into sub-100Kb JAR files''... THIS!!!. the best of mobile gaming I tell you... with tactical feedback and all!